Custom fields are to be used by CiviEvent attendees to self select as part of event registration, this information is saved against their contact entry. 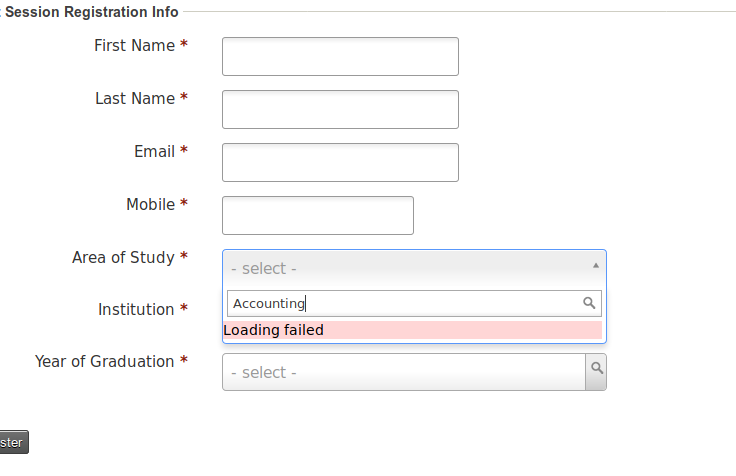 When typing in a valid value for the custom field, such as "Accounting" for "Area of Study" the following error of "Loading Failed" is displayed for an unauthenticated user. Master control for access to the main CiviCRM backend and API. Give to trusted roles only. I've been unable to find more information about the security implications of this setting, and the wording of this setting concerns me when thinking to giving it to Anonymous Users. I'm trying to get the balance of functionality without leaving the system too open, but I'm unsure why I need to expose access to the backend and API to get this working. Browse other questions tagged civievent custom-fields permissions or ask your own question.